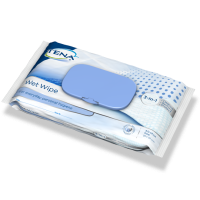 Unsure about which TENA Lady product that could suit you? Find the right product for you by selecting the statement that fits you best. TENA Lady Pants Discreet has a new all-around feminine print design by Ceri Williams, lingerie designer. The disposable cotton-soft absorbent pant has an improved waist and looks like your everyday underwear. TENA Lady Pants Discreet gives you Triple Protection from leaks, odour and moisture. TENA Lady Maxi with the unique InstaDRY™ Zone gives you TRIPLE PROTECTION from leaks, odour and moisture. TENA Lady Maxi is super secure and much more absorbent than a menstrual towel, specifically designed for ultimate protection so you feel instantly dry and comfortable whatever comes your way. TENA Lady Pants Plus is especially adapted to the female anatomy. With a unique body-close design and a feminine look and feel, this protective underwear is made to suit your lifestyle. TENA Lady Pants Plus offers you Triple Protection from leaks, odour and moisture.